Just ahead of the 2018 EICMA show, Ducati has taken the wraps off the 2019 Ducati Hypermotard 950 at the World Ducati Premiere in Milan. Ducati has unveiled the 2019 Ducati Hypermotard 950, a successor to the Hypermotard 939, which now comes with a host of updates, including more power, more torque and a completely upgraded electronics suite. 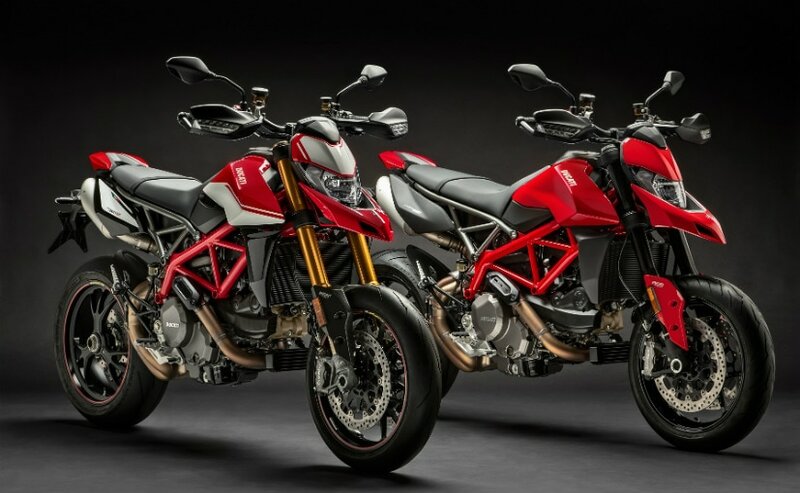 The Hypermotard 950 will be available as a 2019 model in two variants – a standard model, as well as a higher-spec Hypermotard 950 SP variant. Ducati has revised the 937 cc, 11-degree Testastretta V-twin engine, giving it new pistons and a higher compression ratio. Power output is now bumped up to 114 bhp at 9,000 rpm and peak torque is a healthy 96 Nm. Ducati says the engine produces 80 per cent of the torque at 3,000 rpm, while 88 per cent of the torque is available at between 5,000 and 9,000 rpm. The new Hypermotard 950 has lost almost 4 kg, thanks to the new trellis frame, and the engine alone saves 1.5 kg weight, compared to the previous model. The weight savings are with the new rims, new steel trellis frame, new brake discs, lightweight Marzocchi forks with aluminium tubes. The 45 mm front fork is a lot lighter than the previous model, and the higher-spec SP version swaps out the Marzocchi suspension with Ohlins units, which offer more suspension travel and a fatter 48 mm diameter. The Ohlins suspension has additional 15 mm travel on the front, and 25 mm more travel at the rear. The SP variant also gets the Ducati Quick Shift (Up and Down) as standard. 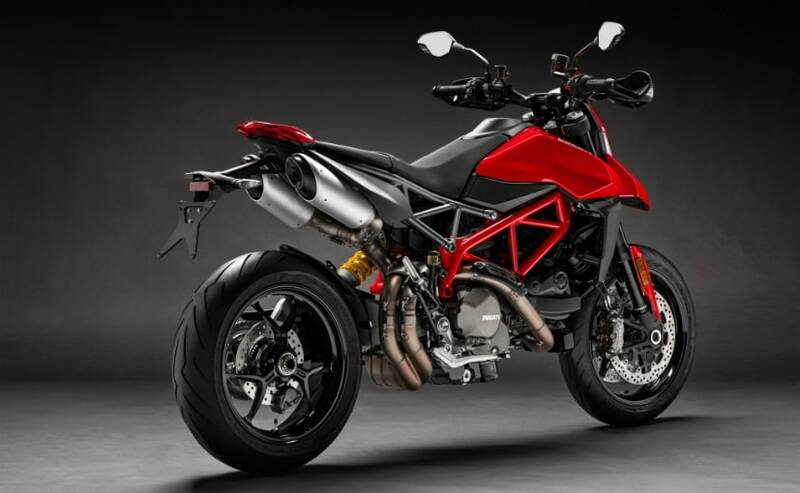 The 2019 Ducati Hypermotard gets an updated electronics system, with a six-axis inertial measurement unit (IMU) from Bosch, which aids the Bosch cornering ABS with Slide by Brake function on the first setting, Ducati Traction Control EVO, Ducati Wheelie Control. The Ducati Quick Shift is available as an accessory on the base model, but standard on the SP variant. Both variants use the same Brembo M4.32 four-piston radial-mount front brake calipers, with twin 320 mm discs. 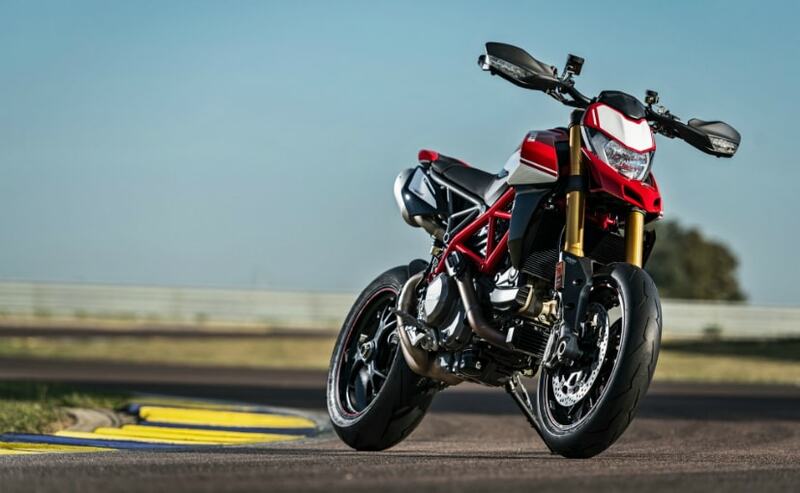 The standard Hypermotard 950 comes with 17-inch aluminium wheels shod with Pirelli Diablo Rosso III tyres, while the SP version comes with forged Marchesini wheels and Pirelli Diablo Supercorsa SP tyres. Additional features include a full-colour TFT display, smartphone-connected multimedia system, removable passenger pegs, and turn signals incorporated into the handlebar. The ride-by-wire system offers three riding modes – Sport, Urban and Touring, with Sport being the most aggressive and full power, Touring with full power but with a slightly muted throttle response, and Urban with power limited to 75 bhp and a soft throttle response and ABS, traction control and other electronics dialled up at their highest settings to be most intrusive.